Sold Out! - With ornamental patterns of boxes and circles swirling with twists and textures, the American Rug Craftsmen Shaggy Vibe Collection gives a sensation of leisure and relaxation. 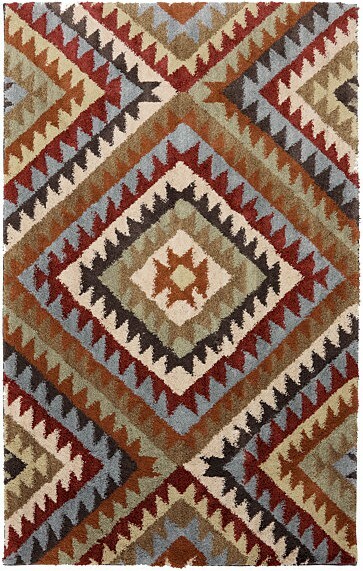 In fun, trendy patterns, this high pile shag is made in 24 total color variations to give it a beautiful, space-dyed look. A fashionable way to update any room quickly and easily, our bright shags are the latest in style.